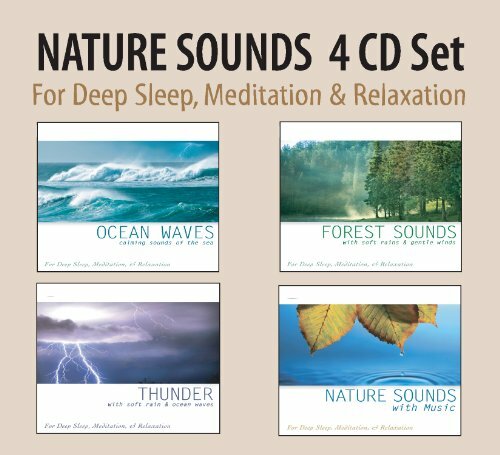 A four CD box set consisting of Ocean Waves, Forest Sounds, Thunder, and Nature Sounds with Music. These relaxing CDs are digitally mastered containing over four hours of crisp clear nature sounds designed for deep sleep, meditation, and relaxation. They create a natural atmosphere for sleep, yoga, the workplace, dinner time, morning coffee, driving, and for other special times in our life.